The number of medical cannabis patients in Minnesota may be much lower than expected, businesses scramble as a major insurance company backs away from cannabis, and New York’s application window comes to a close. Friday is the last day hopeful entrepreneurs can submit their applications to the New York State Department of Health if they want to be considered for one of the five medical cannabis business licenses the agency will award next month. It’s unclear exactly how many companies the state will have to choose from, since the department has refused to disclose the number of applications it’s received to date. A spokesperson told Marijuana Business Daily last month that it will reveal that information once license winners are announced in July. Consequently, rumors have abounded, with estimates ranging from 30 to 300 (the latter number came from the New York Post, and has been scoffed at by several New York industry insiders). There have been at least 11 confirmed companies identified in various media reports that intended to file an application, including Citiva Medical, Compassionate Care Center of New York, Empire State Compassionate Care, Good Green Group, partners Herbal Agriculture and Dent Neurologic, Ivy Acres, North Country Roots, PalliaTech, Valley Agriceuticals, partners Vireo Health and Empire State Health Solutions, and We Cann Heal. But some companies that initially began exploring the New York market decided to take a pass. Terra Tech, for example, decided it was too expensive. So did Adam Kurtz, an entrepreneur who tried to raise $400,000 for his application before dropping his bid. Others, however, have been ramping up their hiring processes, likely with the expectation that having professional staffers already in place may help their chances at winning a license. Empire State Compassionate Care, for example, has hired ex-officials from the Department of Homeland Security and the Drug Enforcement Administration. The Compassionate Care Center of New York has hired former NYPD chief Philip Banks III to be its chief security officer, along with former NYPD deputy commissioner Joseph Dunne as a security adviser. The Department of Health confirmed that it plans on selecting winners next month, and the program is slated to be up and running by Jan. 5, 2016. Each of the licensees will consequently have about six months to construct up to four dispensaries apiece, scattered geographically across the state. The cannabis industry was hit by a bombshell last Friday when Lloyd’s of London sent a memo last Friday telling its affiliates to refrain from issuing or renewing policies covering U.S. marijuana companies going forward. The UK-based insurance marketplace backs a fair share of coverage provided to the marijuana industry, so it’s decision to pull out – even temporarily – could leave as many as 2,000 business owners scrambling for insurance, experts say. Business owners that have their insurance through retailers that work with Lloyd’s network of London-based underwriters – called “syndicates” – said they’re currently looking into alternatives. “When I first read about it I was surprised and laughing internally since I was so confident (before in telling people) `Oh yeah I have insurance with Lloyd’s of London,’” said Alex Rodriguez, who owns a recreational cannabis shop in Tacoma, Washington. For cannabis companies such as his, finding a new insurance carrier “might be an issue,” Rodriguez said. He added that he has options and will likely exercise them if his policy is canceled. The memo – sent by Tom Bolt, the director of performance management at Lloyd’s – said because marijuana isn’t legal at a federal level in the U.S., the company’s subsidiaries should not renew policies nor write new business. Lloyd’s didn’t rule out doing business with cannabis companies in the future, saying it will monitor U.S. law as it pertains to marijuana legalization and scheduling. The company also said it will reconsider its position in the future. Regardless, the development, combined with the announcements that two banks this year decided to also exit the cannabis industry, raises an obvious question: How many mainstream businesses will be willing to work with marijuana companies before Congress either legalizes or reschedules cannabis? The two companies that will start dispensing medical marijuana next month in Minnesota may have a small problem: Many doctors in the state have been reluctant to write recommendations for cannabis for their patients. Only about 25% of doctors polled by the Minnesota Medical Association recently said they’d be willing to endorse MMJ for their patients, while 50% are undecided and the other quarter said they would refuse to do so. That could pose a challenge for Minnesota Medical Solutions (MinnMed) and LeafLine Labs, the pair of firms that will grow and sell MMJ. Patients can begin signing up on Monday, and the state has estimated that there will be roughly 5,000 registrations in the first calendar year, said LeafLine co-founder Dr. Andrew Bachman. But if doctors willing to certify patients for MMJ are too few and far between, that might mean a dramatically smaller patient pool than expected. That could lead to business problems for the two companies, especially because LeafLine and MinnMed are prohibited by state law from referring potential customers to doctors who would be willing to write recommendations for MMJ, according to Bachman. Regardless, Bachman said he’s not concerned. The solution, Bachman said, is outreach and education to physicians, patients and law enforcement, which is something LeafLine has been working on for some time now. That, he hopes, will lead to more doctors being more open to writing recommendations for patients who could benefit from cannabis. “This is certainly a phase where the state, the Department of Health, and manufacturers have a responsibility to continue our outreach and work with anyone who wants to have that discussion,” Bachman said. I am wondering if reluctance of doctors to prescribe this natural product is not tied to compensation of this product versus compensation to the prescription drug industries products. Slow onset is a pretty good description for the industry in quite a few states. 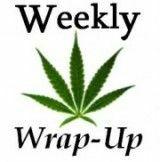 A lot of that will change once marijuana’s rescheduled but it’s obviously still a huge weight to lift in moving the Federal government forward, and changing hearts and minds raised in the War on Drugs mindset. Legalizing retail MJ in more states would also help move things along but so far the pattern’s been MMJ first. As an industry we still have a ton of work to do and while the work continues, patience isn’t just a virtue, it’s a necessity. Anybody want to start a Bank?